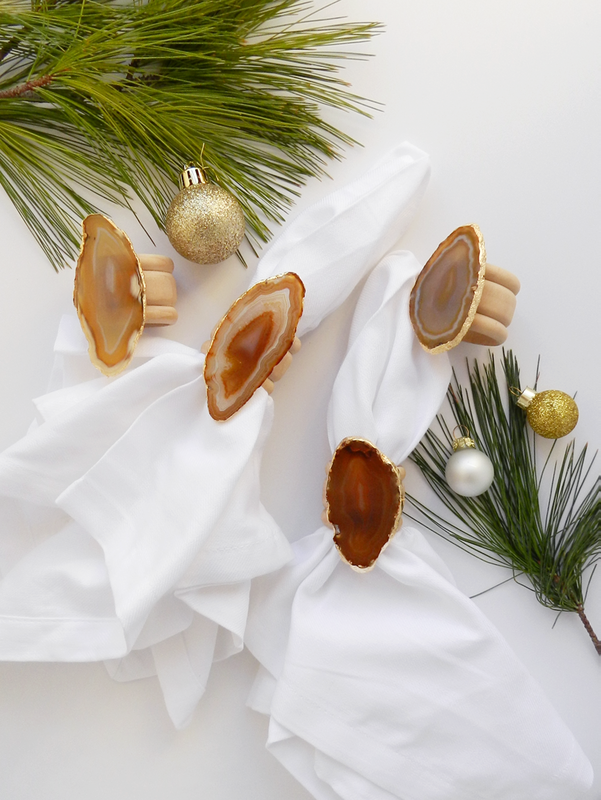 Shortly after posting my previous DIY I came up with the idea to use the same technique to create agate napkin rings for the holidays and I am pretty excited with how they turned out! 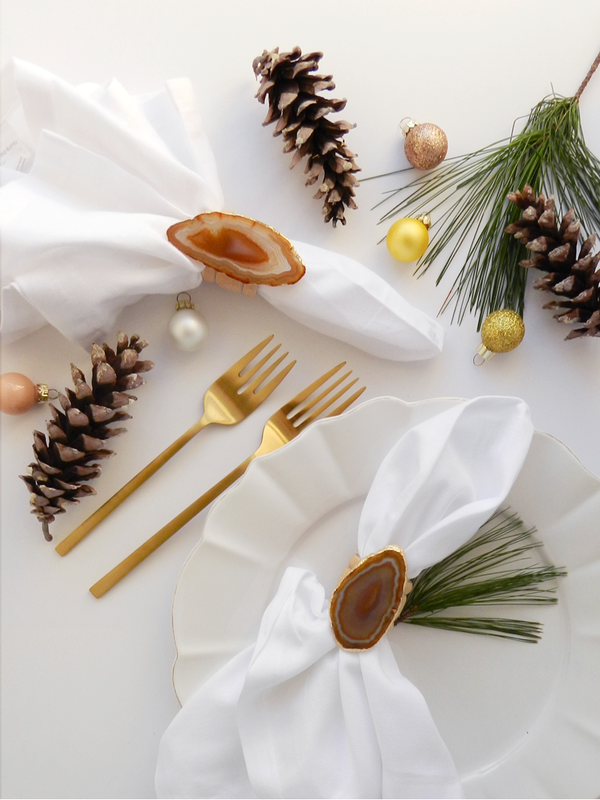 I love that they are not overly "festive" and could be used for a variety of occasions throughout the year, but also look holiday appropriate when paired with wintery holiday decor, such as ornaments and pine cones. 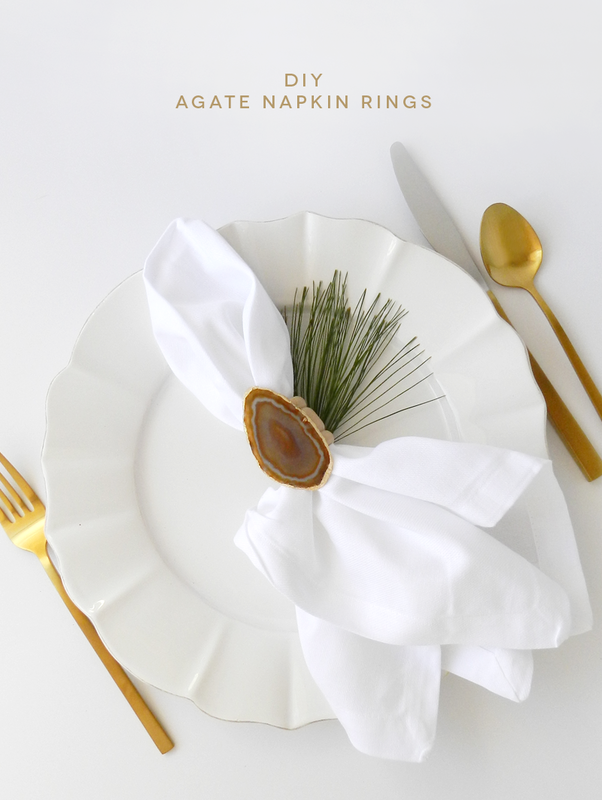 Also, despite looking expensive, these napkin rings were actually pretty cheap and easy to make, which is perfect during the hectic holiday season. 1. Begin by gold leafing the edges of your agates, using this post for reference. I use the directions that come along with the gold leafing kit, but you may find the extra photos from my previous post helpful. 3. Add a small dot of glue on the back of each stone and attach the wooden napkin rings applying firm pressure for approximately 30 seconds. 4. 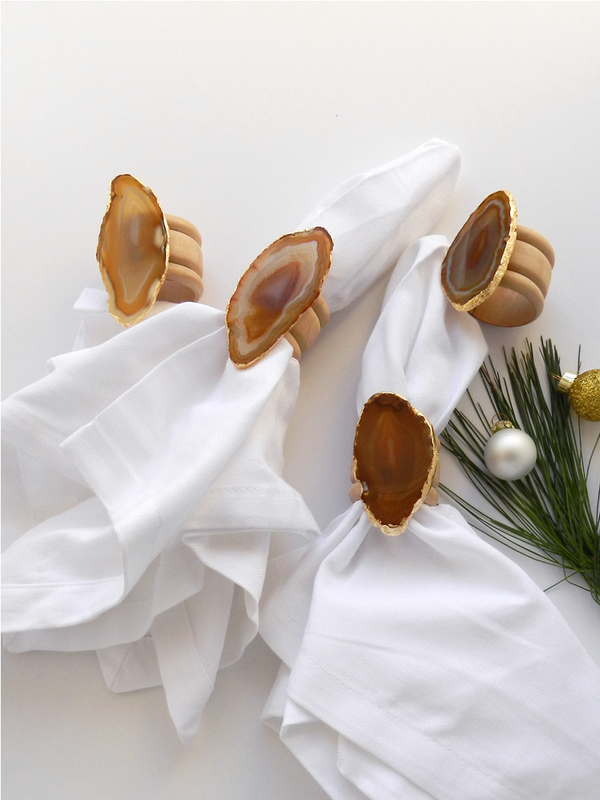 Let the napkin rings dry overnight and you're ready to set the table and impress your guests! Love this idea! Where did you find your agate slices? I haven't found any sites that sell them at affordable prices. Thanks Heidi! I found my agate slices in a little shop while on vacation in Colorado, but there are affordable options on Amazon & Etsy!